I have climbed Mount Everest to the summit and Mount Kilimanjaro 30+ times to dates and have seen and learned a lot from my experience climbing mount Kilimanjaro. The two most valuable lessons learned climbing Mount Kilimanjaro are listed below, but first watch our video from the climb and think about joining one of our teams. CONTACT ME TODAY. Share this page and help more people be informed about the risks of going to extreme altitude above 18,000 feet. 1). The number lesson learned climbing Mount Kilimanjaro comes down to your personal safety on the mountain. You need the best acclimatization possible. I have climbed Kilimanjaro in 5,6,7,8 and 9 days. 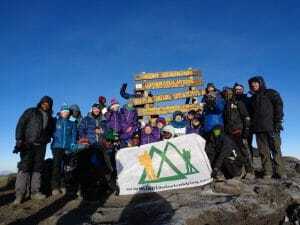 From our experience at Ian Taylor Trekking and my personal experience climbing Mount Kilimanjaro you need to have 8 days on the mountain. I have also climbed on all the route and you need the best acclimatization. I highly recommend 8 days on the Lemosho route. We check people’s oxygen saturation morning and night on Kilimanjaro and we always see better statistics once we spend more time between 3,500m/ 11,482 feet and 4,000m/ 13,123 feet. 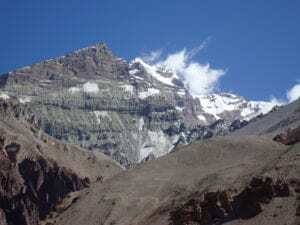 On the Lemosho route you can spend 4 nights getting excellent acclimatization at these elevations before moving higher. 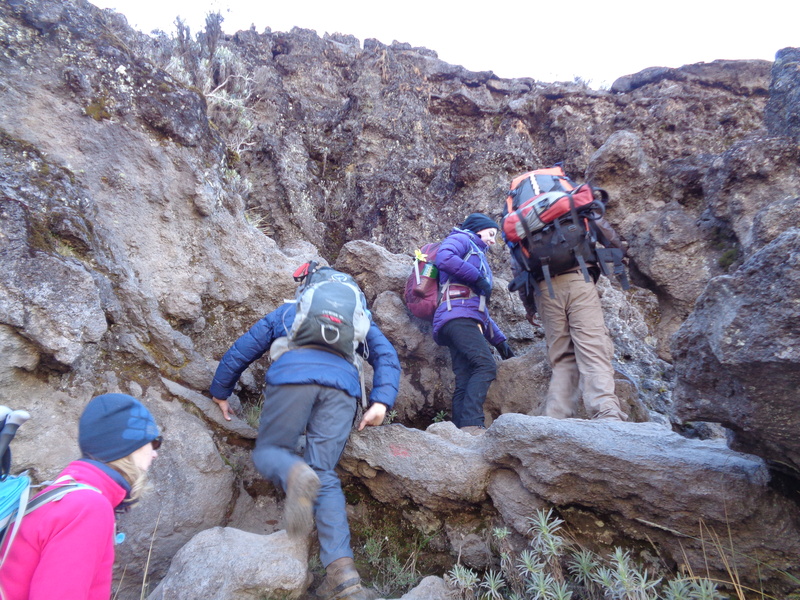 The lemosho route offers 3 different days where you climb higher and then sleep lower. This can make all the difference to your safety and chances of success climbing Kilimanjaro. You need the most acclimatization possible when you are climbing Kilimanjaro. I know it costs a lot more per day to be in the national park, but if you chose less days you run the risk of not making it safely up and down the mountain. 2). Specific Physical conditioning is absolutely critical to success climbing Mount Kilimanjaro. If you pick the 8 day Lemosho route and acclimatize well. You will be sitting at the high camp Barafu 4,650m/ 15,255 feet. feeling the challenges of high altitude but ready for your summit attempt. When you leave for the summit at midnight it should take 7 hours to reach the summit and then an additional 7 hours to hike down hill from the summit of Mount Kilimanjaro at 5,895m/ 19,341 feet. to Mweka camp at 3,100m/ 10,170 feet. 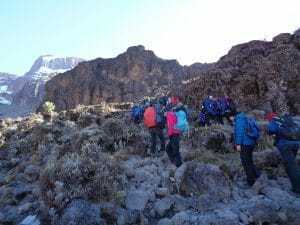 Yes you will get a break at high camp (Barafu camp) to pack up your clothing, gear and have a full lunch. Think about this for a minute. You will be walking 71km up and down the mountain over 8 days. You will be going up about 5,000m/ 16,404 feet and down 5,000m/ 16,404 feet over the course of the week. From the Summit of Mount Kilimanjaro to the Mweka gate 1,800m/ 5,905 feet you will hike down 4,095m/ 13,435 feet over two days. This will takes it toll on your knees, muscles and joints. Don’t be a fool, and get injured or have an accident coming down. I have seen so many accidents on the way down Kilimanjaro. Come physically prepared for this challenge. So you are going to need 3 different types of training. 1). Endurance 2). strength 3). cardio training. In my opinion you need to focus on number 1 and 2. and you need to use weight in the back pack you will use on Kilimanjaro in pretty much every training session. On Ian Taylor Trekking trips we manage the pace of our trips to perfection. So you just need to come having but in hours and hours of hill work with your back pack on. Building the amount of weight you carry each month. We can help you get the right training. If you need further information or clarification just pick up the phone and CALL ME. If you would like to keep reading more from my experience check out these links below and feel free to CONTACT ME at any stage. I can help you get the right information for you. There is no one size fits all for anything in life. It is easier to chat through your options. 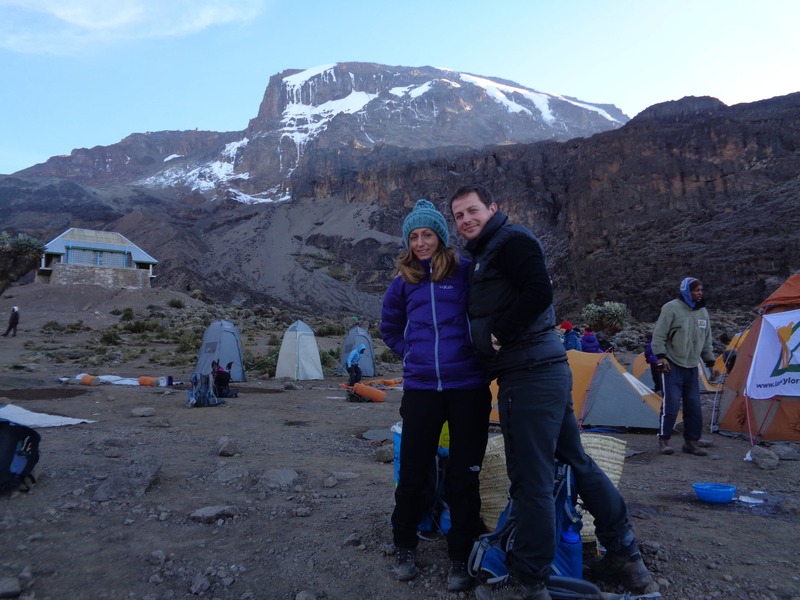 READ SOME REVIEWS from our Kilimanjaro climbs.